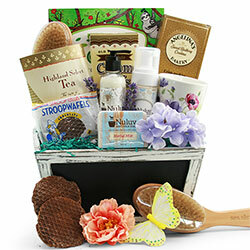 Mother’s Day Gift Baskets overflowing with pampering spa essentials, gourmet coffees, delicious chocolates, and more! 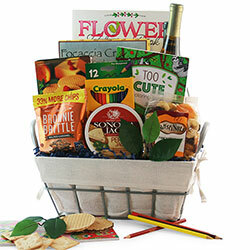 You can even create your own custom gift basket for Mom! 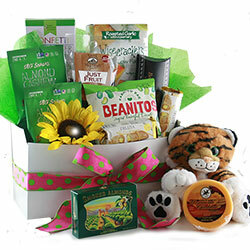 Order with Charity Code Options and you’ll save 10% and we’ll donate 10% to the charity you select! 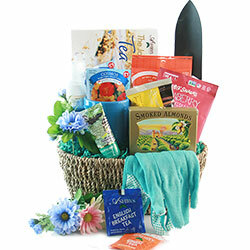 Impress your Mother this year with an unforgettable Mother’s Day Basket! 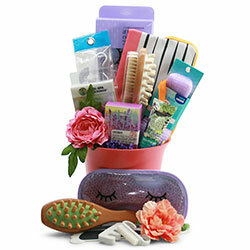 If Mom needs to relax and unwind, perhaps she might enjoy one of our Spa Baskets? 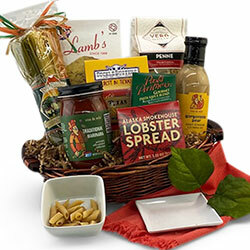 Maybe she’s a "foodie" and would love one of our savory Gourmet Baskets? 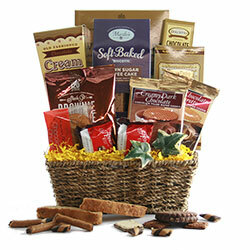 Then there’s always sinfully delicious Chocolate gifts. 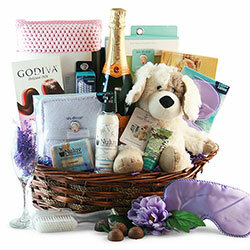 Really want to personalize it? 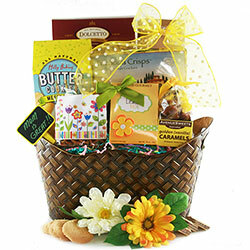 Consider customizing your Mothers Day gift basket by adding a Stuffed Animal, a Mylar Happy Mothers Day Message Balloon, a beautiful picture frame or coffee mug, or a Gourmet Coffee, Cocoa, or Tea Gift Set. 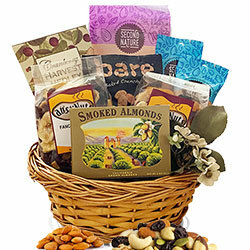 Gift Baskets for Mother’s Day? There’s so much to say about Mom. She stood by your side through thick and thin. She was your biggest fan and cheerleader. She picked you up when you were down. The list is endless. 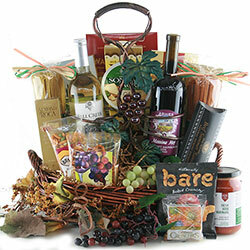 So just how do you show your gratitude and appreciation for all she’s done? It’s hard to beat spending time with her - a nice day at the beach, a Sunday brunch at her favorite restaurant, or just a wonderful day at home sharing stories. 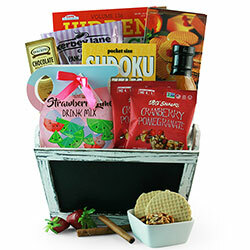 But when time and distance don’t allow you to share Mother’s Day with her, we think our sensational gift baskets are sure to express your heartfelt love and appreciation for all she does. 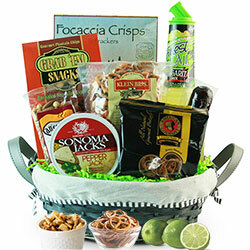 Our designers have come up with a lot of great options. 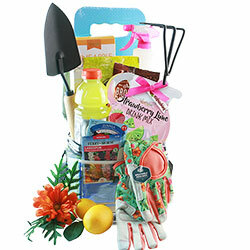 From spa to gourmet to gardening to, well almost anything – we know you’ll find something in our gift collections that she’s sure to love. 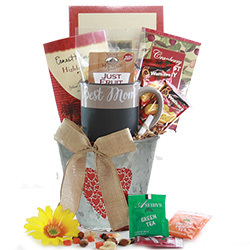 If you really want to impress Mom, consider adding any of our special embellishments to your gift: specialized Picture Frames, cute little Stuffed Animals, fun Coffee Mugs, Mylar Balloons and, oh so many choices more! 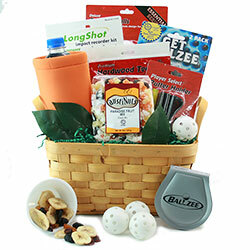 Need some specific ideas? Read on. 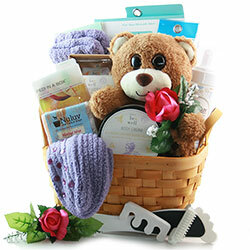 Well, this list could get pretty long but here our some of staff’s suggestions: It’s hard to find a woman that doesn’t love to be pampered. 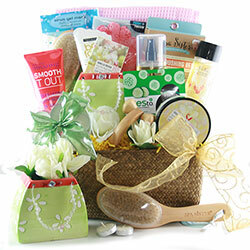 We have an amazing selection of spa gift baskets for women and these have been really popular for Mothers Day in the past. 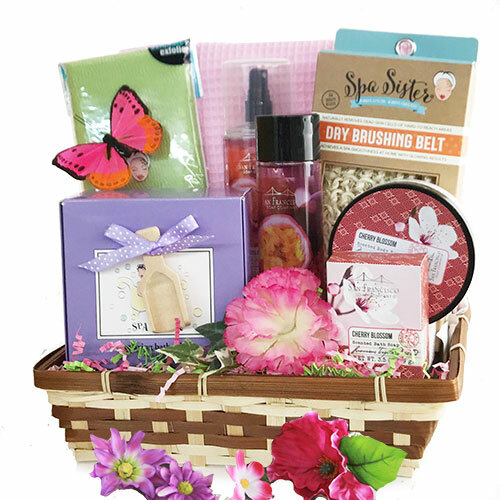 A few of our favorites are the holiday specific, The Mothers Day Spa Gift Basket, As Sweet as Mom Gift Basket and the Stress Buster. Does she love to work in the garden? 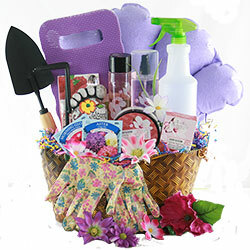 Whether your favorite gardener is a novice or expert landscaper we’ve got a great selection of a gardening baskets. 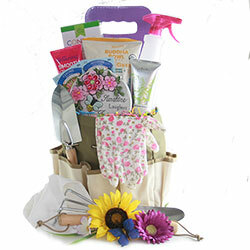 Some of our favorites are A Mothers Work is Never Done and Mom’s Got a Green Thumb. 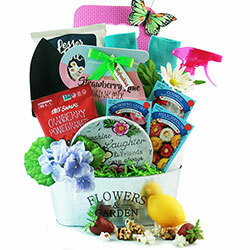 Remember, April showers bring May flowers! 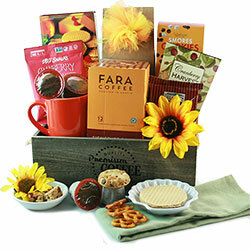 Coffee isn’t just for breakfast anymore! So here’s an idea . 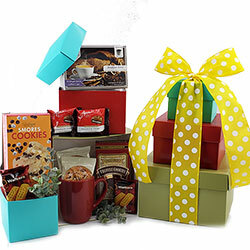 . . if she’s a caffeine fiend, our K-Cup coffee gift baskets are the perfect boost. 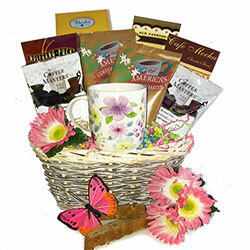 We have a plethora of options to choose from in our coffee sections. 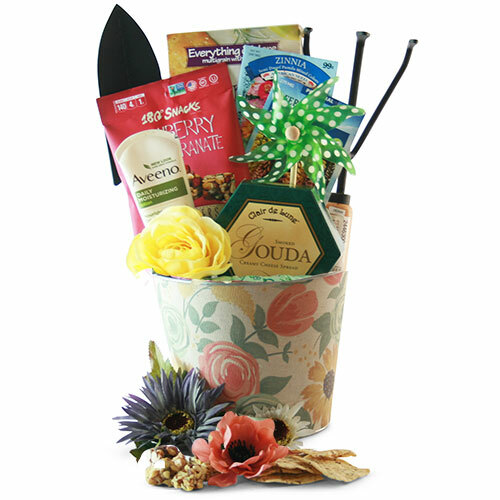 Try our K-Cup for Mom Gift Basket - you get to choose her favorite flavor K-cup that has been expertly paired with a variety of delicious sweets. 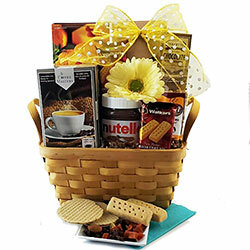 If she hasn’t jumped on the K-Cup bandwagon yet, perhaps she might like our Coffee & Nutella Gift Basket. 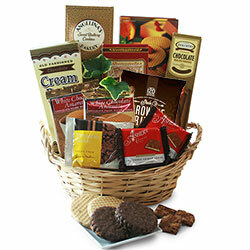 It’s packed with a tasty variety of ground bag coffees or K-Cups (we offer both!) and topped with heavenly Nutella. 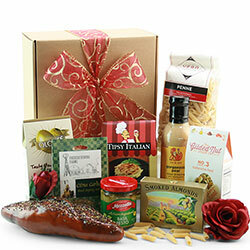 Looking for a gift idea that’s a little refined? 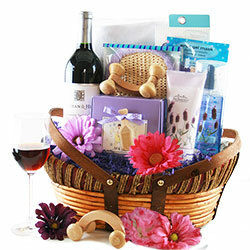 For the Mom who loves reds, whites or even a little bubbly, check out our wine baskets for Mother’s Day. 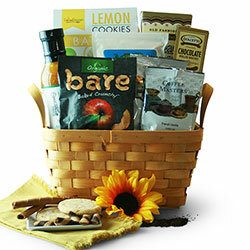 Baskets come with a fine assortment of delicious gourmet foods, melts-in-your-mouth chocolates, or spa and pamper delights, in addition to your choice(s) of wine. That’s right, You select the wine(s)! 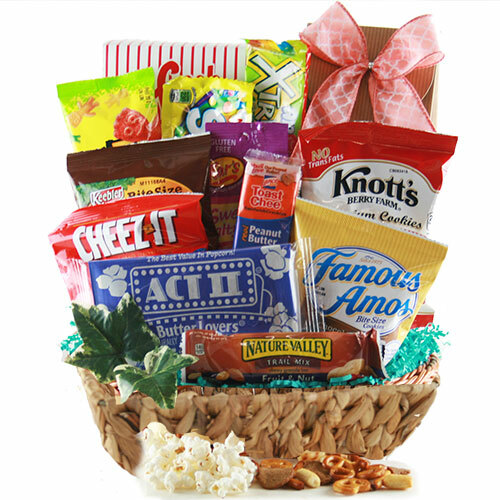 If our suggested gift basket ideas still don’t rock your boat, you can always design your own, one-of-a-kind gift basket using our Design It Yourself Custom Basket system. 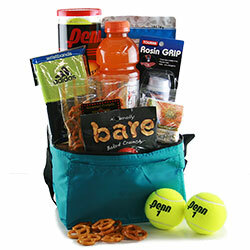 It’s easy and you can have a completely customized gift basket in a just a few minutes. 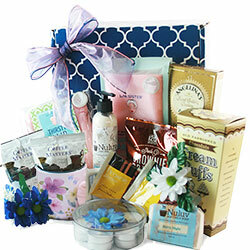 A lot of our customers tell us that they have as much fun picking out the products as the recipients have receiving them! 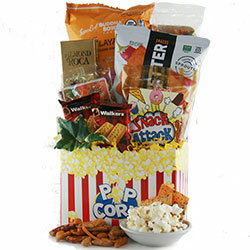 Make sure you order early and avoid paying expedited shipping costs! 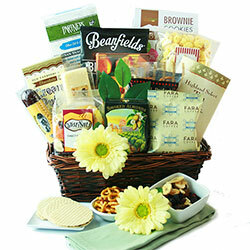 Why spend your money on shipping when you can get the same basket delivered for less just by ordering a little earlier? 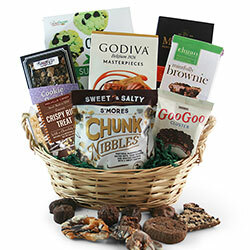 Our standard ground shipping will typically get your gift delivered for Mother’s Day when ordered just 2 to 3 business days in advance. If you’re shipping to Texas, delivery is typically in just 1 or 2 days.